The calisson of Aix en Provence is THE traditional Provencal delicacy. For generations, the calisson has been made from candied melon puree from Apt, almonds and sugar. 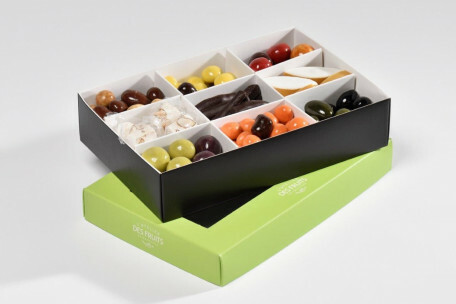 For the big gourmets, we have developed this box in an XL format! Box of 1 kg calissons traditional Aix en Provence. 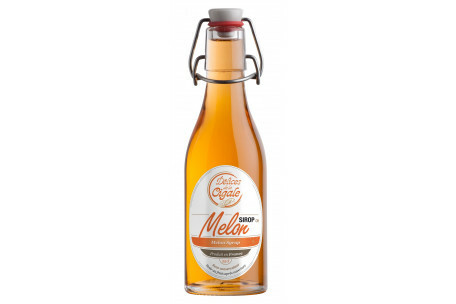 Ingredients: Candied melons (melons, glucose-fructose syrup, sugar), Almonds 29% (including Almonds of Provence: 5%), sugar, egg whites, candied fruit (orange peel and lemons, glucose syrup -fructose, sugar), glucose syrup, invert sugar syrup, unleavened bread (potato starch, sunflower oil), natural flavor. Average nutritional information per 100g: Energy value: 1867/445 Kcal / fat: 18g including saturated fatty acid 1.6g / Carbohydrates: 62g including sugars: 54g / Protein: 7g / Salt: 0.03g. Store in a dry place between 18 and 22 ° C.